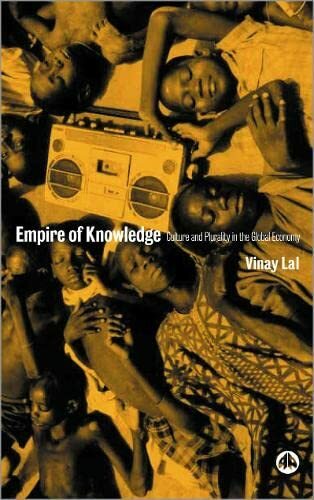 Empire Of Knowledge: Culture And Plurality In The Global Economy: 9780745317373 Hardcover - LIMEROCK BOOKS INC.
During the media frenzy over the Millennium celebrations, there was hardly any mention of the fact that, for the majority of the world, there was no Millennium at all. This linear understanding of time is a specifically Western – and Christian – concept. This is just one of many examples that Vinay Lal uses to demonstrate that nearly every idea which we take for granted in the west is part of a politics of ideas. Oppression is usually associated with class struggle and other forms of economic monopoly. Lal looks beyond this, deconstructing the cultural assumptions that have emerged alongside capitalism to offer a devastating critique of the politics of knowledge at the heart of all powerbroking. Other topics examined are the concept of 'development', which has provided a mandate for surreptitious colonisation; and the idea of the 'nation state', something we have lived with for no more than two centuries, yet is accepted without question. Linking this to the emergence of 'international governance' through the United Nations, the US, and imperial economic bodies (such as the IMF and WTO), Lal explains how such universalisms came to dominate the trajectory of Western thought. Vinay Lal is Professor of History and Asian American Studies at UCLA. He writes widely on the history and culture of colonial and modern India, popular and public culture in India (especially cinema), historiography, the politics of world history, the Indian diaspora, global politics, contemporary American politics, the life and thought of Mohandas Gandhi, Hinduism, and the politics of knowledge systems.